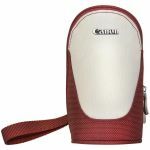 This case features a detachable wrist strap and belt loop that can snap onto a belt, purse or backpack. 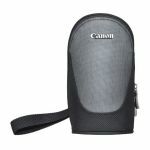 The interior includes additional pockets to store batteries, flash memory and other photography accessories. 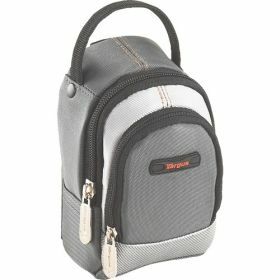 The exterior features a zippered front poakcet and a webbed compartment on the back for added storage. 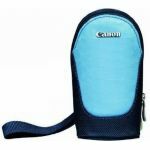 This case is the perfect way to protect a consumer-level camera between photo shoots. 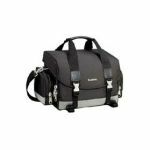 Capacity – Fits most medium / large point and shoot digital cameras. Protection – EVA foam lines the front panel for added protection; Closed cell foam lines the interior. Organisation –Mesh pocket in the main compartment and a zippered front pocket for accessories. Quality materials – 840 Nylon with Nyflex lining.